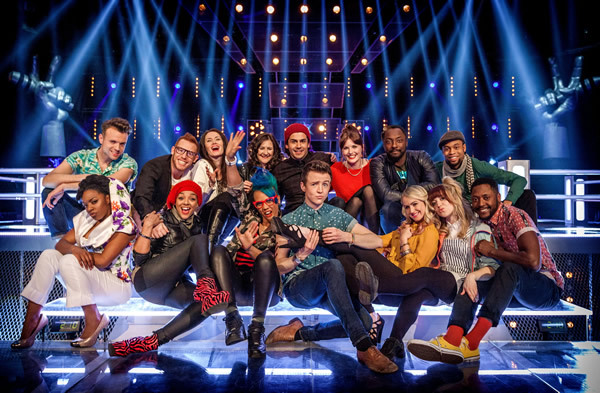 It was the first of four “battle” episodes on Saturday 11th May as the coaches have to reduce their teams from 12 act to 6. This will be painful process for some. 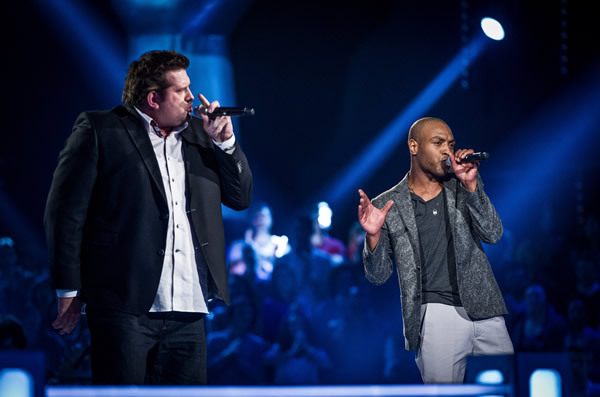 Acts from the same team are paired together to perform a duet. At the end of the performance their coach decides who will go though to the next round and who will leave the competition. It must be tough on the coaches to reject someone they were previously working with and fighting for. There is a glimmer of hope for those rejected hopefuls with a new twist which has been added to the show. A competing coach now has the opportunity to grab one of the rejected acts for their own team. We’ll no doubt see it in action in the next four episodes. 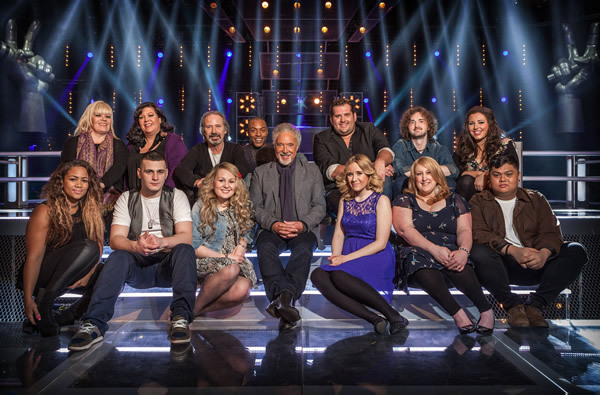 After tonight, 6 acts will have either gone home or been stolen by other coaches. Cerys Matthews from Catatonia had been coaching Tom’s acts and Jamie and LB went head-to-head singing When Love Comes To Town. 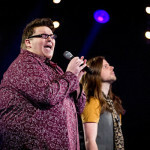 It was a strong performance from both singers. Danny, Will.i.am and Jessie all thought LB shaded it but it was Tom’s call and he went with Jamie Bruce. None of the coaches wanted to steal LB Robinson so that was the end of The Voice for LB. Singing Do I Do, the guys had received coaching from Dante Santiago of the Black Eyed Peas. Tom and Danny thought Matt had edged it, whilst Jessie J wouldn’t chose. 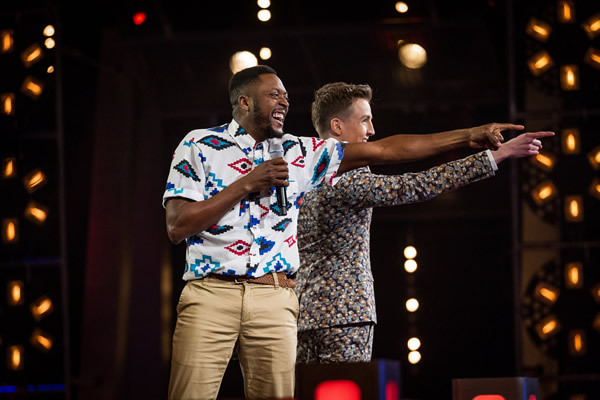 Will.i.am went for Jordan Lee Davies so Matt was available for stealing. Both Jessie J and Sir Tom Jones decided to steal him. Matt went for Jessie’s team. 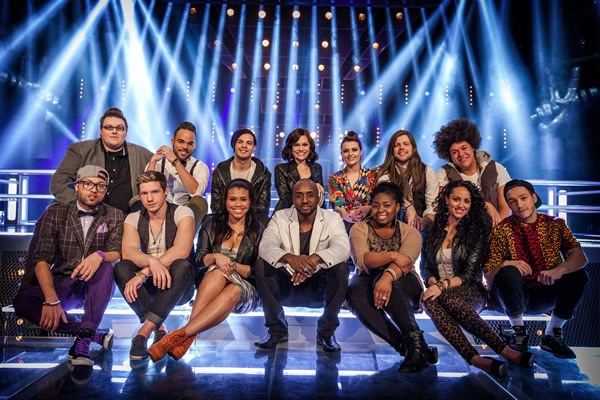 Dido was helping Danny with the coaching for his team and they chose People Help The People for Andrea and Alice’s duet. Danny chose Andrea Begley to take through to the next stage. There was no steal from any of the coaches for Alice Barlow, the Hollyoaks actress. 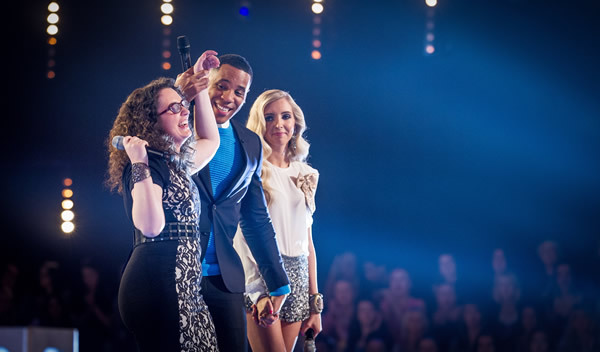 Next up were Sarah and Katie, having been coached by Claude Kelly to sing ET. For me it was a battle of the screeches. 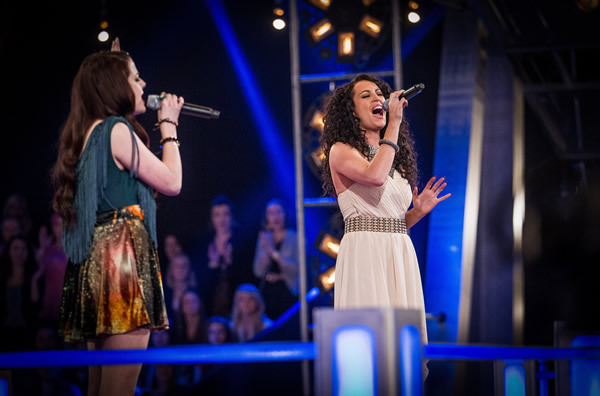 None of the other coaches really expressed a choice and after a bit of uncertainty Jessie J went for Sarah Cassidy. Katie Benbow was not stolen by any of the coaches but Jessie J did offer some words of comfort saying Katie is still young enough to improve and try again in a year. A battle of two v one was next. Not so much a duet as a “duel” singing Finally. Quite a lot of singing over each other was going on so it was hard to separate the two acts at times. Nu-Tarna had clearly decided to sing at all times. Jessie said it gave her a headache and that the singers didn’t listen to each other. “There was a lot going on” summarised Will.i.am who went with Cleo. Nu-Tarna went unstolen by any of the coaches. Ash and Adam performed I Won’t Let You Go. 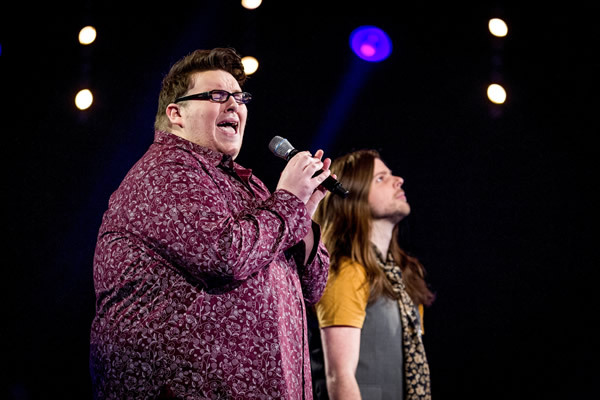 Ash has a great voice and it was tough for Adam to compete with him but he gave it a very good shot. Tom called it a draw and Danny wouldn’t make a call. 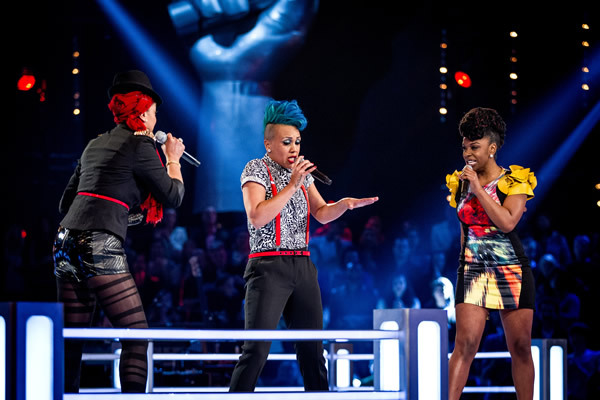 Will.i.am thought Jessie should choose Ash but he himself would choose Adam. Jessie went for Ash. The question was would any of the coaches want to steal Adam? It was no surprise when both Danny and Tom went to steal him. Adam decided to go with Sir Tom Jones as Adam was more familiar with Tom’s music. 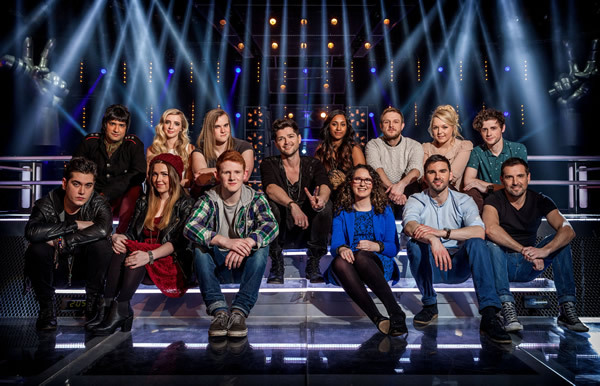 We’re back tomorrow night at 7pm for the second of the four Battle episodes when another 6 acts will leave the teams.